Born in Edinburgh, he trained there under William Burn and David Bryce, and worked in the Doncaster office of Hurst & Moffat. In Glasgow, he became Chief Draughstsman to David and James Hamilton , 1837, working alongside Charles Wilson and Thomas Gildard , and established his own practice in 1841. He produced country houses, villas, tenements and terraces, and churches and commercial buildings. He designed some of Glasgow's finest Gothic churches, including the first Free Church in the city, Free St George's, 153 West Regent Street, which was also the first modern (i.e., post Reformation) church in Glasgow to feature grotesque, 'figurative water-spouts', in the form of dragon gargoyles (1843, demolished 1968). Amongst his other city churches are: St Andrew's Free Church, North Hanover Street (1844, now a furniture warehouse); St John's Free Church, 205 George Street (1845, dem. 1971); Park Parish Church, Lyndoch Place (1856-7, partially demolished, 1969) and the Classical-style John Street UP Church, 18 John Street (1858-60, now a bar and offices). The Buchanan Society Warehouse, 97-101 King Street (1849); 57-61 St Vincent Street (1850); the Sailors Home, 150 Broomielaw (1855-6, demolished 1971); the former Bank of Scotland, 74-92 Trongate (1855-7) and the former Bank of Scotland, 2 St Vincent Place, which incorporated William Mossman II 's magnificent Atlantes doorcase group and a fine series of keystone heads (1869-70). Rochead also provided Glasgow's West End with some of its grandest terraces, all of them lining Great Western Road: Buckingham Terrace (1852-8), Grosvernor Terrace (1855) and Ruskin Terrace (1855-8). He also designed Northpark House, until recently BBC Scotland's Broadcasting House, Queen Margaret Drive, which was completed by John Honeyman, and which features keystone heads by Shaw & Campbell and a bust of Michelangelo above it's door by Charles Grassby (1869). An early scheme to provide the Glasgow Institute of the Fine Arts with a home in George Square in 1850, failed to materialise due to Rochead's plans for the Grecian temple to house it proving too ambitious and the project was quickly abandoned. 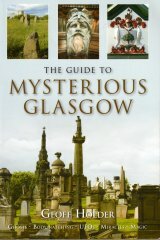 Amongst his other designs are several monuments in the Necropolis, including the mausoleums for John Bell (1842); Dunn of Duntocher (1848) and James Davidson of Ruchill (1851); and the monument to shipbuilder Robert Barclay (1864). Entering the competitions for Belfast Cathedral, 1840, and the War Office, Whitehall, 1857, in which he was unsuccessful, he eventually made his name with his competition winning design for the National Monument to William Wallace, Bridge of Allan (1861), which features a bronze statue of Wallace by D W Stevenson , and a photograph of Rochead in its interior. Rochead eventually moved back to Edinburgh in 1870. He died there on 7 April, 1878, aged 64. His monument in the Grange Cemetery in Edinburgh is surprisingly small and plain, and is unsigned. Its severity is relieved by a delicately carved classical urn at its apex, which is adorned with his initials entwined with a C for his wife, Catherine, who followed him in 1896, as well as the date of the monument's construction, 1878. Rochead's former Bank of Scotland in Glasgow's Trongate has recently been restored as part of a general upgrading of the area, and has been converted to luxury accomodation and a bar named after the architect.